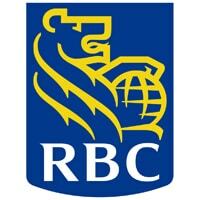 Canadian bank RBC is to introduce an NFC mobile payments service that stores customers’ card details in the cloud. RBC Secure Cloud will launch later this year and will be delivered “through partnerships with mobile service providers”. Customers of RBC and mobile network operator Bell will be the first to use the service. “When a client makes a purchase, whether debit or credit, the data is transmitted using an encrypted single use token and decoded locally on the customer’s mobile device at point of sale,” RBC cards and payment solutions executive vice president Linda Mantia told NFC World. “RBC Secure Cloud will be available through the Bell network on a variety of smartphones including the BlackBerry Z10 and Q10 and a range of Android smartphones from manufacturers such as Samsung, Sony, HTC, LG and more,” she added. An open wallet architecture, enabling the platform to support non-RBC payment methods in the future. RBC’s deal with Bell to introduce NFC payments using NFC SIMs to store card details is still to go ahead, with a select group testing the service this summer, the bank confirmed to NFC World.